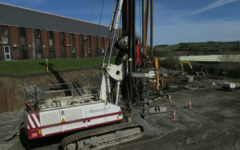 FK Lowry Piling have successfully completed a CFA Piling Project in Bradford for Triton Construction. 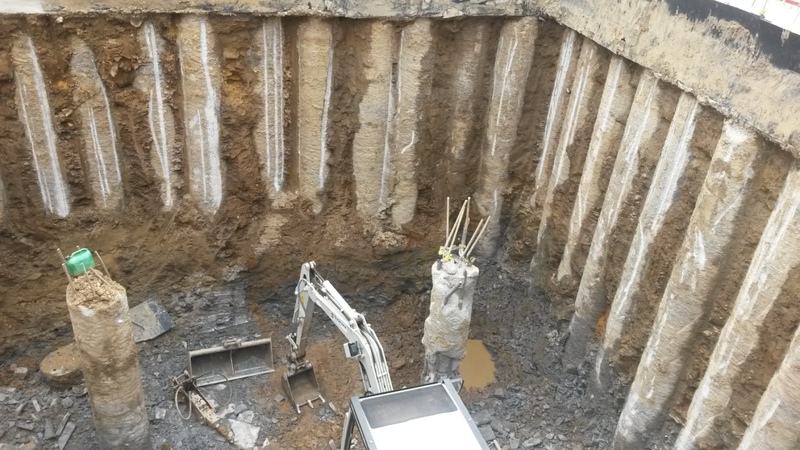 FK Lowry Piling were sub-contracted to design and install 40m of 600mm Diameter Contiguous Bored Pile Wall and 37 No. 600mm Diameter CFA Bearing Piles. 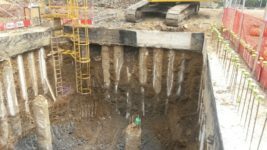 Ground Conditions consisted of Made Ground/ Fill overlying Glacial Clays and weak weather Mudstones. 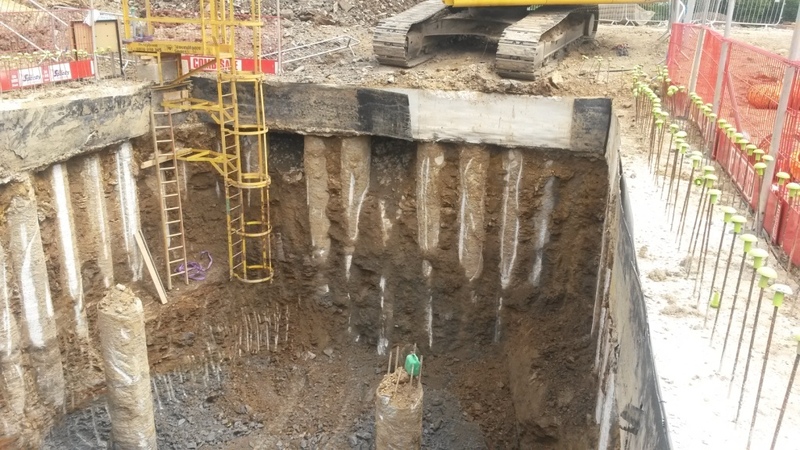 This was further underlain by medium strong Siltstone at depth. 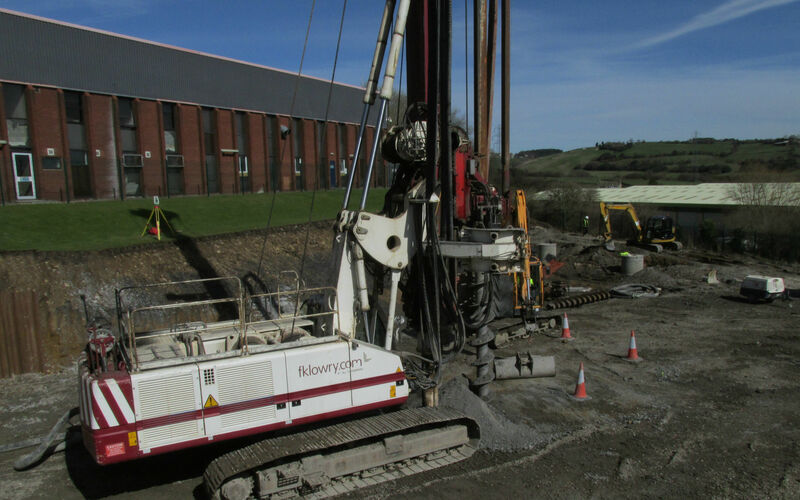 FK Lowry Piling utilised their Soilmec SR70 high torque rig on the project.